The Indigenous Environmental Network has posted a video with hopeful news about efforts to delay — and eventually stop — the Dakota Access Pipeline. Meanwhile, the Water Protectors are facing rubber bullets, mace and concussion grenades. And Winona LaDuke sends an Open Letter to members of North Dakota’s law enforcement and National Guard appealing to their conscience. The short version is this: There are several ways that the pipeline project could be delayed, and every delay costs Energy Transfer Partners money. The more delays, the better chance for killing the project. “We are really excited about the potential and possibility for delays,” Mossett said. The U.S. Army Corp of Engineers has asked Energy Transfer Partners to delay construction for 30 days, according to a report in Mother Jones.Here are some key ways the project could be delayed. Stop the U.S. Army Corps of Engineers from issuing a permit for DAPL to bore under the Missouri River. DAPL is just a few days away from arriving at the Missouri River. However, Mossett said, “when this company started building this pipeline, they never had the permit. They just said it was a formality.” The Washington Office of the Army Corps of Engineers still has the authority to approve the easement under the Missouri River and to issue the permit to bore. Opponents are asking the Corps to not issue the permit, and to request a full Environmental Impact Statement on the boring. A DAPL construction site could be legally challenged. Mossett said that DAPL built a pad that could be partially on Army Corps of Engineers land. That needs to be investigated because they are not allowed to build on federal land, she said. Law enforcement officers are using rubber bullets against nonviolent Water Protectors opposing the Dakota Access Pipeline. Some might get the impression that this is somehow humane because it is not live ammunition. It is not humane. It is part of a highly militarized response which is out of proportion to the situation. News reports from Standing Rock say one horse was injured so severely from a rubber bullet it had to be put down. A journalist covering the conflict was hit and knocked to the ground by a rubber bullet. Censored News: Rubber Bullets — Palestine, Ferguson and Standing Rock. CBS News: Journalist shot with rubber bullets during N.D. pipeline protests. Here is the video. Huffington Post: Morton County Sheriff Blames USACE For Police Violence At Standing Rock As Journalist Is Shot. Winona LaDuke, Col. Ann Wright (Ret.) 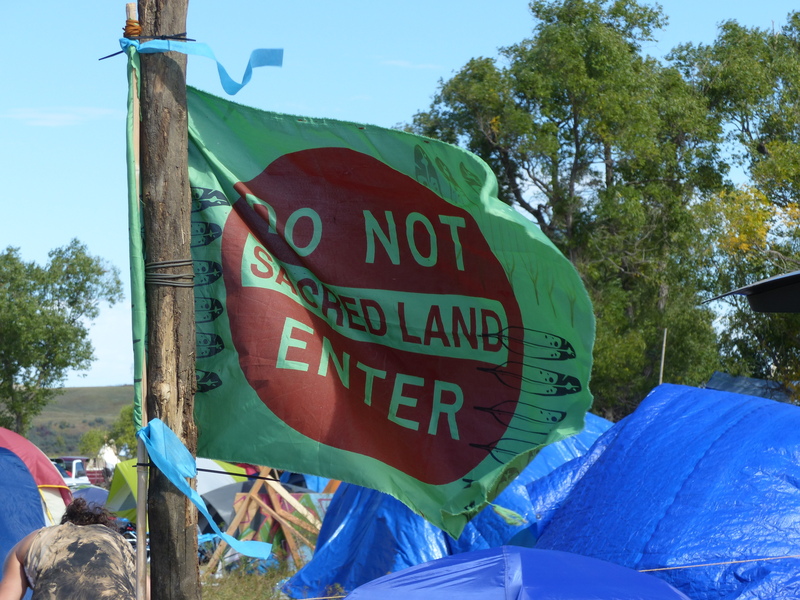 and Zoltan Grossman wrote an open letter to North Dakota law enforcement and National Guard, appealing to their conscience in their participation in the state’s misguided actions against the Water Protectors. The letter was published in Indian Country Today. So you joined law enforcement or the National Guard because you wanted to uphold the law, protect innocent civilians against the bad guys, and help your community in times of need. Instead, they’re having you blockade unarmed people who are trying to hold a prayer vigil, chasing them with armored vehicles and ATVs, raiding their tipis and sweat lodges at gunpoint, and shooting them (and their horses) with pepper spray, concussion grenades, tasers, and rubber bullets. You thought you’d be the cop on the beat or the citizen soldier, and they’ve made you into the cavalry riding in with Custer. Click on the link above for the full letter. This is hopeful information. I tried watching the video but it is no longer available or I am not allowed to view it. Subsequently, there are no concise directions of how I can help participate in the 4 suggested actions. Is there an address or contact we should write/call/email with our pleas for delay? Thank you advance for a reply.